Click HERE to save this recipe for Greek Pico de Gallo to Pinterest! Sometimes as a food blogger it can be tough to feel like every time you share a recipe you have to have something interesting to say along with it. There are times when there is a funny anecdote from the kids that relates to a recipe, or something interesting or educational about the food or the cooking method. Or there is something relevant going on in our lives that does tie back to the recipe. Or the scenario presents itself that I took the photos of the recipe a while ago and didn’t get it written up quickly enough that I’ve forgotten if there even was anything to say about the recipe. The latter two scenarios are definitely the case with this Greek Pico de Gallo. I made it and it was good, so I decided that I wanted to photograph it so that I could blog about it. I also can’t remember if there was anything that I wanted to say about this recipe since it has been a couple of months already. And unfortunately that is the case for a backlog of several different recipes I’ve photographed this past summer. I’m really hoping that with school being back in that I get into a better routine with all of this again. Because, blogging at home with kids in the summer is tough stuff for me when kids need driven here and there and no longer are there stretches of nap time. When I first started this blog, my youngest was 1 year old. I’ve always loved cooking and I wanted a place to keep a record of my recipes, but I also felt like I needed a creative outlet and something to do during nap time. I often churned out recipes, photographed them and blogged them during the same 24 hour span. I look back at those difficult early years when kids needed so much from me and needed me to do so much for them. I often thought “when they’re older…” but the truth is, they need just as much from me now, it just looks different. I’m not bathing them or rocking them to sleep. I’m not feeding them or helping them dress. But I still spend a good portion of my day doing for them. It is crazy to think that Madeline turns 10 in a few weeks. It seems like only yesterday and also a lifetime ago at the same time. Crazy to think that Good Life Eats is almost as old as “the baby” of the family. This Greek Pico de Gallo is something that I’ve made several times in my blogging years to go with various meals. I don’t know why I’ve never photographed it and shared it before now, but I figured (even without anything particularly interesting to say) now is better than never! 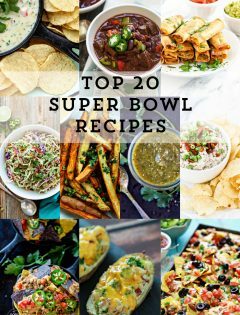 Chips and Dip, of course! Enjoy it the simplest way possible – scoop it up salsa style with Whole Wheat Garlic Pita Chips for a tasty snack. Another Greek dip we like is this Tzatziki Greek Cucumber Yogurt Dip. 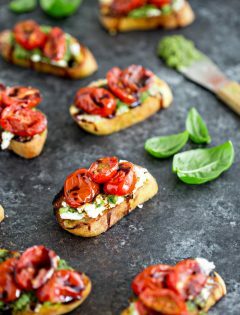 Bake puff pastry cups and put Greek Pico de Gallo inside the center after baking, similar (but even easier) to these Greek Puff Pastry Appetizers. Toss some chicken, or whatever meat you like, in your favorite Greek style salad dressing. 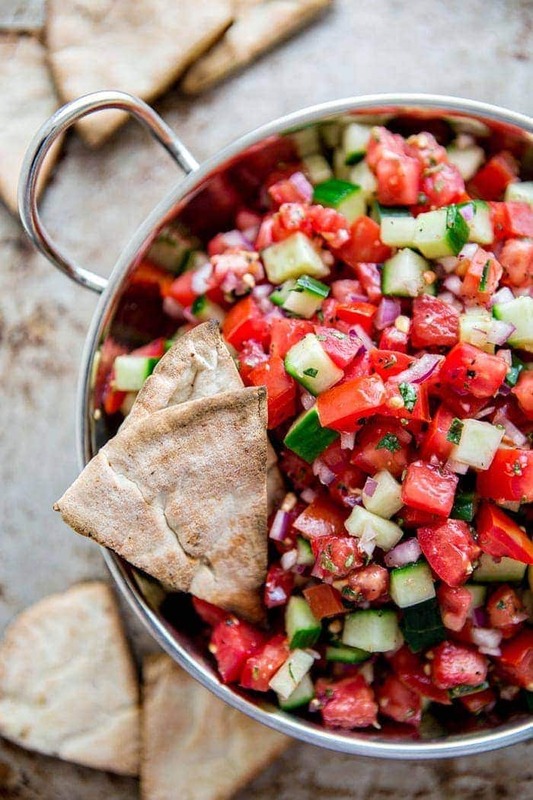 Grill it up and top it with a spoonful of this Greek Pico de Gallo of a easy, and fresh meal. For a fall-inspired skillet meal try this Greek Lemon Oregano Chicken Skillet Dinner. Spoon it on top of a pile of greens and toss to coat. For a tasty entrée green salad, add grilled chicken (see above), crumbled feta, and some pita chips for crunch. 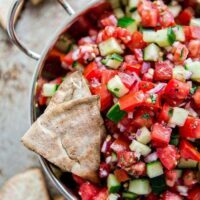 Stuff a pita pocket with this Greek Pico de Gallo and whatever other fixings you like for a great lunch. Check out this Grilled Chicken Greek Pita Pocket for inspiration. Add 1 tablespoon of olive oil to the lemon juice and seasonings in the recipe, prepare the rest according to instructions, then add your favorite pasta (cooked and cooled). Enjoy it simple just like that or add other ingredients such as kalamata olives, chopped fresh spinach, crumbled feta and/or meat. Season to taste with salt and pepper to account for the added ingredients. 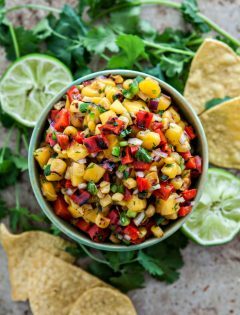 Love this recipe for Greek Pico de Gallo? 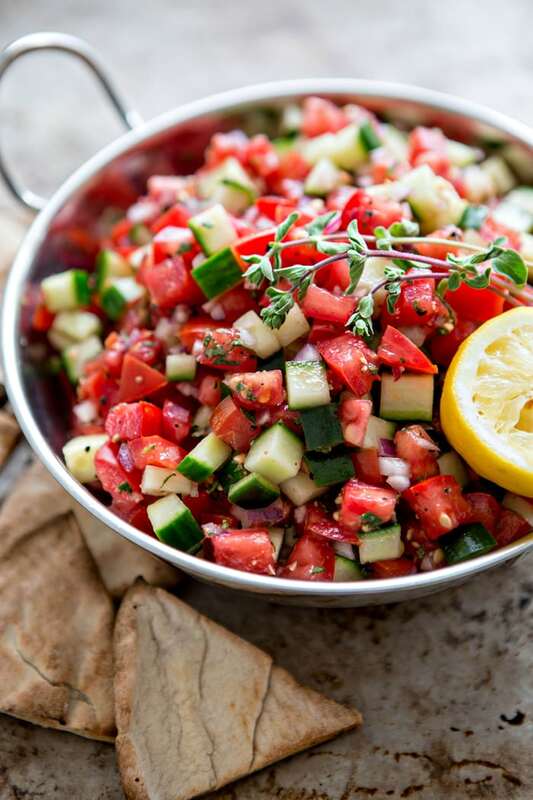 Combine the roma tomato, onion, cucumber, garlic, lemon, lemon zest, and oregano in a medium sized mixing bowl. Stir until the ingredients are well distributed. Transfer the ingredients to a serving bowl. 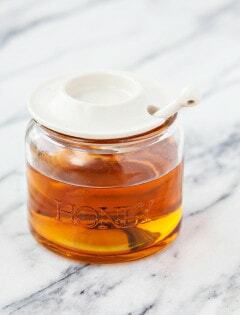 Cover with plastic wrap and refrigerate for 30 minutes to 2 hours, until chilled and flavors are developed. Serve with toasted pita chips for dipping.